All the angst this week over the treatment of referee Craig Joubert, following his performance in the second half of the Scotland v Australia semi final, somewhat misses the point. 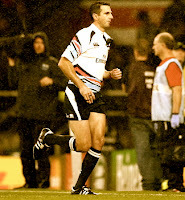 There are many otherwise credible commentators who appear to be claiming that the criticism Joubert had received is somehow contrary to the “spirit of rugby” and that it will inevitably lead us into the depths of depravity currently reserved for the likes of association football. What such comments infer, however, is that referees are effectively beyond reproach. This cannot be right. No one is suggesting that referees should be treated with anything but respect by players, management and spectators on and off the pitch (and it is notable that the Scottish camp have been very, very restrained in their comments since Sunday’s defeat). It is absolutely appropriate, however, that referees should be accountable for their performances – Joubert made a series of poor calls on Sunday from which he should not be able to hide (or indeed run away). 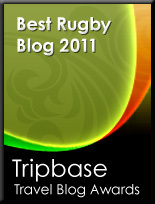 The fact that World Rugby (or, as I like to call them, the piss artists formerly known as the IRB) have hung Mr Joubert out to dry in public is not helpful at all, but objective and proper criticism is fair enough and – far from setting a dangerous precedent as some would have us believe – is the only way that standards will be raised. Completely agree, one of the few sensible things I've read on the topic (sitting between quartering him on the Queen's road to the respect the game stuff). Part of the issue with football is that there is no accountability or feedback on the decisions made. This is biggest stage rugby will have for 4 years and everything from in-game referreeing, to TMO's and citing commissioners has been a shambles.